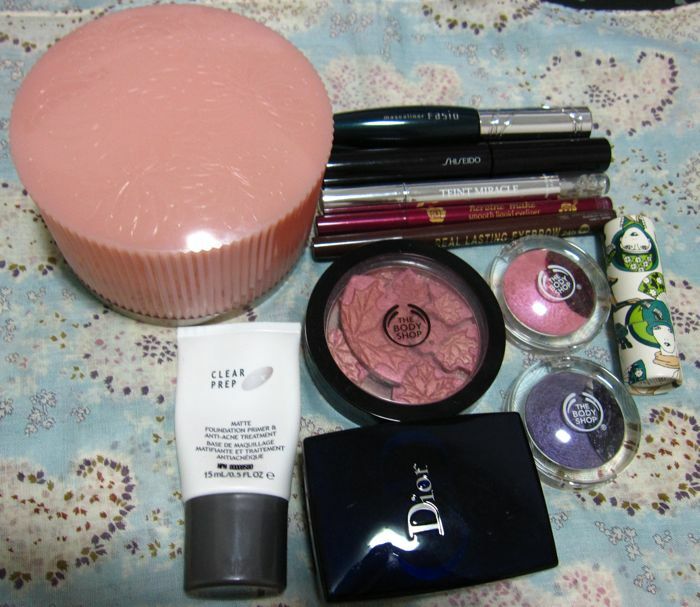 My makeup collection already includes numerous baked mineral eyeshadows and blushes, mainly from MAC. Nevertheless, when I swatched the new Body Shop Baked-To-Last collection, I couldn't resist picking up a couple of the eyeshadows and a blush duo as the textures are excellent and there are some interesting shades in the range. Baked mineral eyeshadows by other brands can sometimes feel dry and gritty but the Baked-to-Last eyeshadows and blushes all feel very smooth with an elegant metallic glimmer. There is no chunky glitter and the products don't throw up a ton of loose powder bits when touched. 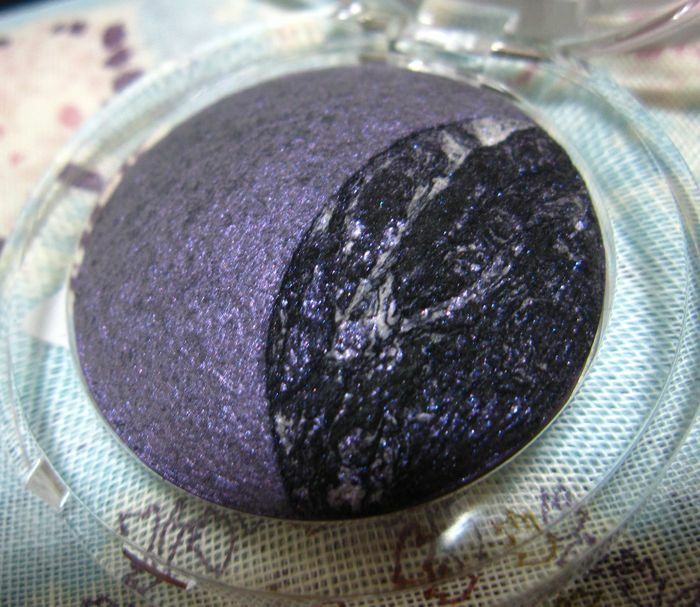 There are eight Eye Colors (S$22.90) in total. I picked up #4 Quartz and #8 Amethyst. Like MAC MSFs, the veining in the darker shades varies according to the individual eyeshadow. The SA at the Ngee Ann City store was nice enough to take out some from the drawer for me to choose as I didn't like the veining on the two Amethyst Eye Colors on the shelf. These weigh 2g each, whereas the MAC Mineralize Eyeshadows from the Color Craft collection in 2009 were 2.2g for S$33. 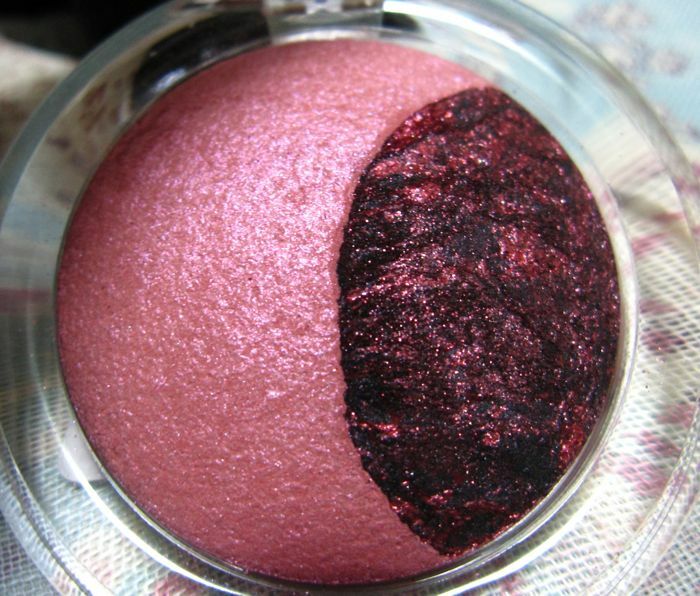 I rarely buy pink eyeshadows but #4 Quartz appealed to me because of the smoky deep burgundy shade. 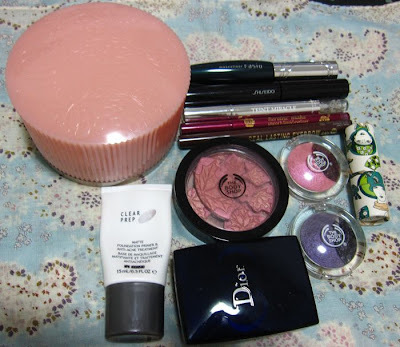 I also picked up the Cheek Colour #2 Coral (S$24.90, 5g). 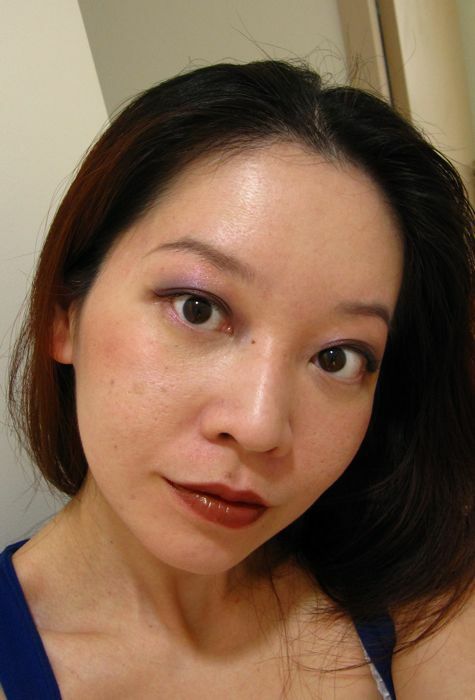 In comparison, MAC Mineralize blushes are 3.2g for S$37. #2 Coral looks incredibly similar to #1 Petal but the latter applies as a lighter pink shade. 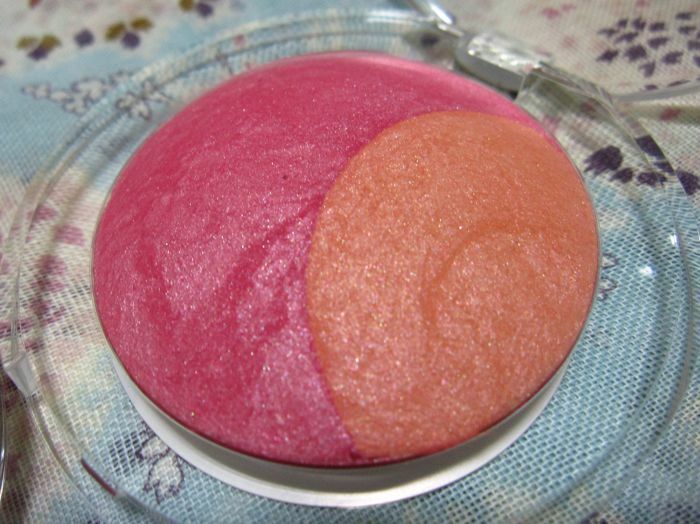 I liked these blushes as they are not too crazily pigmented but still give a lovely rosy sheen that is not frosty. 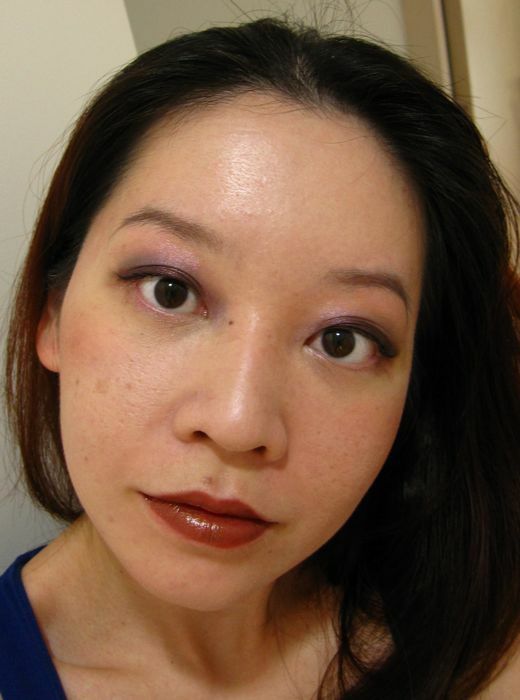 For today's look, I used a sponge tip applicator to apply the dark burgundy shade from #4 Quartz along the upper lashline. Then I used MAC #213 brush to apply the light pink shade over the browbone area and along the lower lashline; and the lavender shade from #8 Amethyst in the crease. 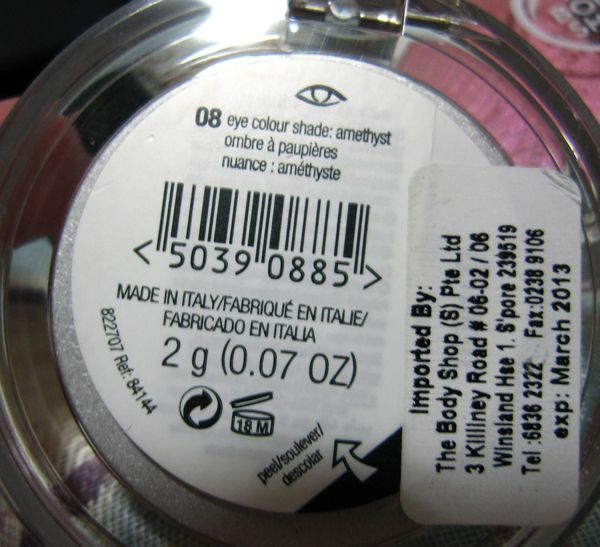 The lavender shade has more of a purple tint in real life than it appears in the photo below. For the rest of the look, I used Dior X4 Control Compact Foundation 012, Body Shop Autumn Leaves Compact #2 Berry, Lancome Teint Miracle Natural Light Creator Bare Skin Perfecting Corrector Pen #1, Paul & Joe Lipstick C 48 and Loose Powder, K-Palette Real Lasting Eyebrow 01 and Heroine Make Smooth Liquid Liner, Shiseido Nourishing Mascara Base and Fasio Mascaliner GR700. 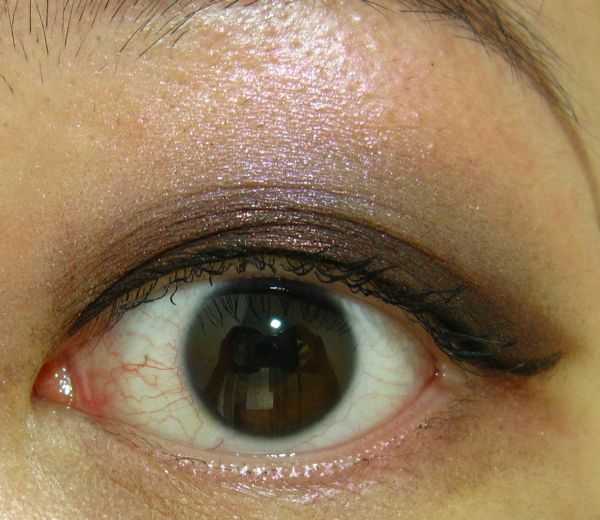 The Baked-to-Last Eye Colours lived up to their name and wore very well over more than 11 hours without fading. The Baked-to-Last collection is currently on 25% discount until Sunday 19 September so don't wait too long if you want to snag some of these beauties! Nice! U looked sophisticated in these eye colour combination:) The colours blended so nicely on your lids, no sign of chalkiness at all. I'm tempted... totally. Thank you! I was impressed by how well these blended, especially the lavender shade from Amethyst. Didn't get any of the eyeshadows but how you have tempted me now..... I've been eyeing the #5 duo (Sage). That looks really lovely! Great combination. Hi! May I know what the white tube with the words "Clear Prep Mat" is? Thanks! It's the Cover FX Matte Foundation Primer. Been a long time reader of your blog :) Anyway, just want to let you know that from 20-29th Sep, TBS star loyalty members get 30% off all regular items! 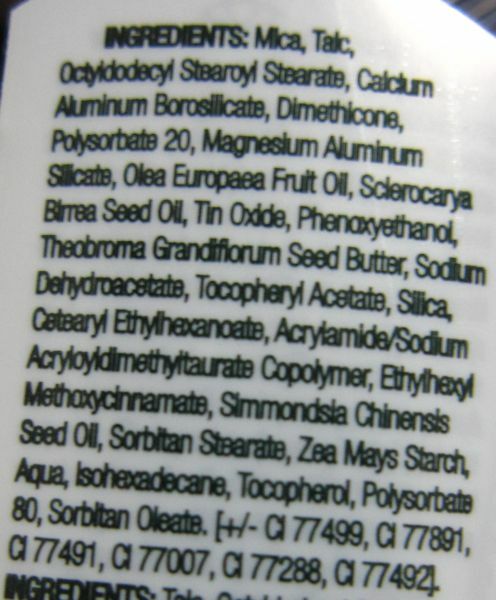 Do let me know if you're keen to get any makeup (i know you have TONS of the shower gels). You look really good! You should wear more jewel-toned shades like these.